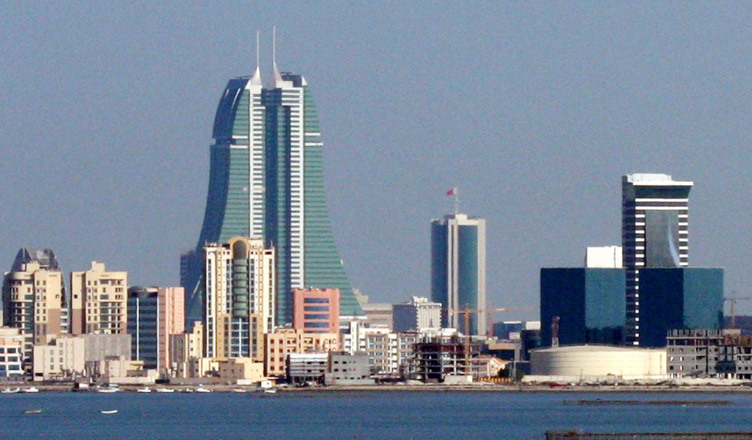 Bahrain, being a business-friendly nation, has always been a warm welcomer of foreign investors. The country offers a simple and streamlined process for foreigners to come and invest in the country along with giving them various supplementary amenities for their business establishment. For company formation in Bahrain, one must know Bahrain’s overall business environment. Regarding this, the first and foremost factor that comes into the picture is the types of business entities offered by the nation, followed by the procedure of incorporation, and lastly the necessary legal documentation. These pile up to be a lot of information to gather all at a time - but fret not! Here’s a foreigner’s guide to setting up a company in Bahrain – simplified for you! Bahrain offers several options in terms of business structure for company establishment. Each one has its own specialty. The different types of business structures available for company formation in Bahrain are described below. This business entity is a public shareholding limited liability company which has a minimum share capital requirement of BD 1,000,000. In this type, the partner is liable for the company’s debts and liabilities only up to the value of their share in the company. A minimum of 5 directors and 7 founding shareholders are required in this type of company structure and is perfect for people willing to offer shares to the public by listing one’s company in Bahrain Bourse (BHB). This business entity is a closed shareholding company and does not offer its shares to the public. This also is a type of limited liability company whose minimum share capital requirement is BD 250,000. A minimum of 2 partners and promoters and 3 directors is required for this type of business structure. This type of company allows local operations, bank and insurance activities. This business entity offers 100% ownership and is the one wherein the partners are responsible for all the debts and liabilities of the company only up to the value of their share in the company. This structure requires a minimum of 2 partners, promoters, and directors and allows activities like banking, insurance, investment, and local operations. This legal structure is perfect for foreign entrepreneurs as it legally minimizes the international tax liabilities and hence maximizes the profits. This is not a limited liability company. In this, partners are jointly responsible for the company's debts and liabilities up to the extent of all their personal assets. This legal entity requires a minimum of 2 partners, promoters, and directors and also provides 100% foreign ownership. This business structure does not require a minimum share capital value and also, it does not allow activities like banking, investment, and insurance. This business structure is a limited partnership company which is formed by one or more partners but no limited partner could be held responsible for the company’s obligations except to their extent of share in the company. This type does not require any minimum share capital value. The minimum number of partners and directors required are 2 in this case. This type of company is formed between joint partners and limited partners. This legal structure requires a minimum share capital value of BD 20,000 and allows 100% foreign ownership. The minimum number of partners and promoters required are 4 and the minimum number of directors, 2. Also, in a Commandite by Shares, an external auditor is required. In this type of business entity, only one person is responsible for overall company’s debts and liabilities but on the other hand, avails the benefit of 100% ownership too. This comes under a limited liability company and requires a minimum share capital value of BD 50,000. A Single Person Company can be formed by a single partner. This type of legal entity can only be registered by the Bahraini citizens and citizens of the Gulf Cooperation Council (GCC) in the Kingdom of Bahrain. This falls under unlimited liability company and demands the owner to be a Bahraini or a GCC national. Also, this type does not require any minimum share capital value. This type of business structure is a branch of a foreign company, incorporated and registered outside the Kingdom of Bahrain which could be established as an operational office, a representative office, or a regional office. This type does not require any minimum share capital value and permits activities in banking, insurance, investment and local operations sector. Bahrain is a booming economy inviting entrepreneurs and investors to partake in its business journey. The country not only offers lucrative opportunities and promising avenues for business setup, but also bolsters it with the requisite support system and corporate environment. Business Setup Worldwide is a consulting platform to help you with commercial registration in Bahrain. Our team of experienced business adviros are there to guide you every step of the way. So, if you are planning to start your company in Bahrain, contact us – we’d be happy to help!